Diagnosed with ASD at age five, McCreary got hit with the performance bug not much later. During a difficult time in junior high, he started journaling, eventually turning his pain e into something empowering--and funny. He scored his first stand-up gig at age 14, and hasn't looked back. This unique and hilarious #OwnVoices memoir breaks down what it's like to live with autism for readers on and off the spectrum. Candid scenes from McCreary's life are broken up with funny visuals and factual asides. 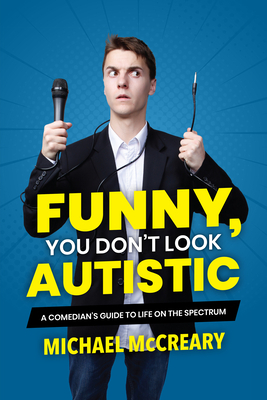 Funny, You Don't Look Autistic is an invaluable and compelling read for young readers with ASD looking for voices to relate to, as well as for readers hoping to broaden their understanding of ASD.